The Big Wobble: Today marks the 70th anniversary of the greatest Hekla eruption known to man, which lasted 13 months and scientists say she is ready to blow again! Today marks the 70th anniversary of the greatest Hekla eruption known to man, which lasted 13 months and scientists say she is ready to blow again! 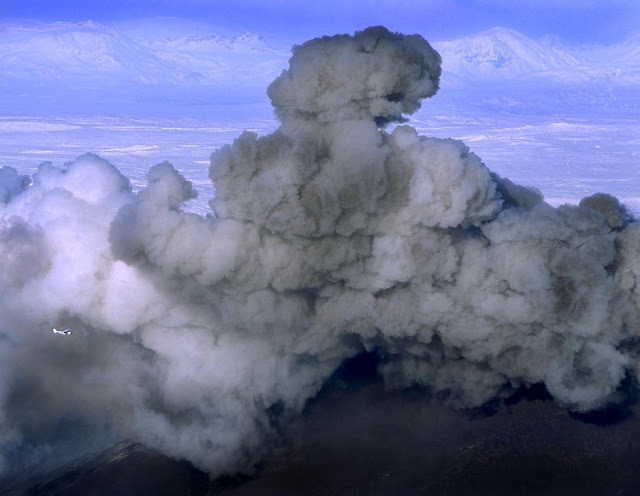 "Most measurements that we have today indicate that Hekla is ready for an eruption, but we do not know what factor will set the eruption off," says geophysicist Pall Einarsson at the University of Iceland. More pressure is in the magma chambers underneath the mountain than before the last two eruptions in 1991 and 2000. It's however impossible to say whether a Hekla eruption is to be expected soon or not, as eruptions come without much warning and with little correlation to other volcanic or earthquake activities in South Iceland. Today marks the 70th anniversary of the greatest Hekla eruption known to man, which lasted 13 months. There have been five eruptions in Mount Hekla since 1970.